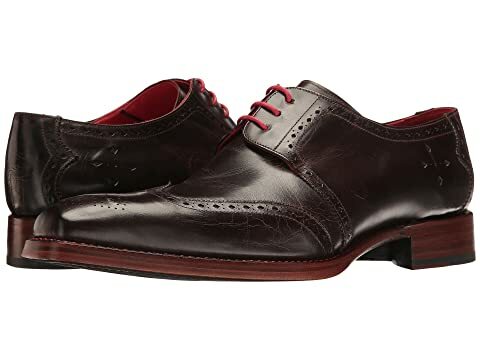 Get used to the involuntary head turns exquisitely outfitted in these dashing JefferyWest™ Dexter Gibson oxfords. Polished leather upper with subtle embroidered and Brogue stitching detail adorned throughout. Block heel with cut-out detail and rubber heel tap. We can't currently find any similar items for the Dexter Gibson by Jeffery-West. Sorry!